Resin kits from Poland. MarS also markets several resin accessory sets. 7206 Sd.Kfz. 231 Armored Car (6 rad) Early Version Superb model. Very highly detailed and accurate. 7207 Sd.Kfz. 231 Armored Car (6 rad) Late Version Absolutely amazing kit. One of the best I have seen. Very similar to the following vehicle. 7212 Krupp L3H63 3-ton Cargo Truck Absolutely amazing kit. One of the best I have seen. The level of detail is incredible. Huge number of parts, especially for a resin kit. 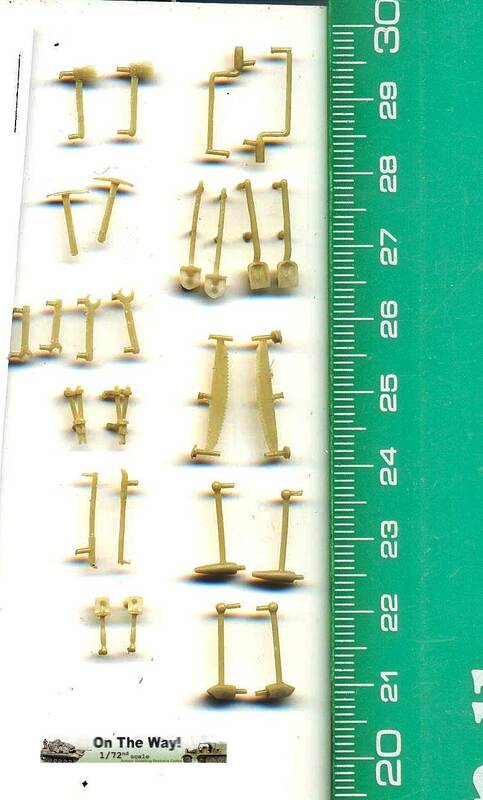 Some parts are very small. Not for beginners. 7215 Krupp L3H63 Cargo Truck - Early version. Absolutely amazing kit. One of the best I have seen. The level of detail is incredible. Huge number of parts, especially for a resin kit. Some parts are very small. Not for beginners. 7217 Sd.Kfz. 231 Armored Car (8 rad) Superb model. Very highly detailed and accurate. 7242 Horch 108 Kfz.31 w/Flak 38 Superb model. Very highly detailed and accurate. 7260 PZInz.wz.34 Ambulance Polish half-tracked ambulance. 7272 Lancia 3 ro w/Skoda 100/17 Italian Lancia truck with howitzer mounted on cargo bed. 7234 Wooden Tool Boxes Announced, but never released. 7280 Auto-Union Horch 3,6/8V engine Detailed engine for the MarS Horch 108 kits.